The 2017 edition of Mobile World Congress attracted a record 108,000 visitors, an increase of 7 percent over the previous year, the GSMA reported today as the show came to a close. Visitors from 208 countries and territories worldwide attended this year’s event, held at the Fira Gran Via and Fira Montjuïc venues in Barcelona. The exhibition hosted more than 2,300 exhibiting companies from both the mobile ecosystem and adjacent industries such as automotive, finance and healthcare, while the four-day conference program comprised 11 keynote sessions and many more track sessions dedicated to specific industry topics. There were also a record number of government delegations to the Ministerial Programme, plus several new events staged for the first time this year across the two venues. Over 55 percent of this year’s attendees held senior-level positions, including more than 6,100 CEOs. Approximately 3,500 international media and industry analysts attended the event to report on the many significant industry announcements made at Congress. Approximately 23 percent of attendees were female, with the number of female attendees up 14 per cent year-on-year, growing at twice the rate of the overall attendee base. Preliminary independent economic analysis indicates that the 2017 Mobile World Congress will have contributed more than €465 million and over 13,200 part-time jobs. The keynote sessions featured senior representatives from a range of major companies and organisations, including Ansible, AT&T, Atos, Bharti Enterprises, Boxever, the Business and Sustainable Development Commission, CGAP, Discovery Networks, Econet, the European Commission, FC Barcelona, Formula E Holdings, Girl Effect, Gray Ghost Ventures, Huawei, Kaspersky Lab, Kik Interactive, KT, L1 Technology, Liberty Global, LINE, NEC, Netflix, Niantic, Nokia, Open Garden, Opportunity Network, Orange, Otto, Prisma Labs, PwC, Roborace, Smart Dubai, SoftBank, Tele2, Telefónica, Turner, Twilio, the US Federal Communications Commission, Vayyar Imaging, Veniam, VICE Media, Vivendi and VMware. The main exhibition featured some of the most high-profile names in the mobile industry and beyond, including AOL, BMW, Cisco Systems, Deutsche Telekom, DJI, Ericsson, Ford, Google, Hewlett-Packard Enterprise, HTC, Huawei, IBM, Intel, Lenovo, LG, Mercedes-Benz, Microsoft, NEC, Nokia Solutions and Networks, Oracle, Orange, Peugeot, Philips Lighting, Qualcomm Incorporated, Samsung Electronics, SAP, SEAT, Sony Mobile, Telefónica, Verizon, Vodafone and ZTE. It was another year of record attendance at the GSMA’s Ministerial Programme, which brought together governments, regulators, and industry leaders to encourage dialogue on a range of regulatory and policy issues. This year’s event saw an increasing number of delegates from adjacent industries such as finance and healthcare, reflecting mobile’s broadening global reach and impact. There were delegations from 167 countries and international organizations in attendance at the Ministerial Programme, including 60 ministers and 78 regulatory authority heads. The total number of attendees increased 14 percent from last year to almost 1,700. The Programme focused on maximizing the positive socio-economic impact of mobile worldwide and creating a policy environment that encourages investment and innovation. More than 11,000 young people from across Catalonia and Spain attended the Youth Mobile Festival (YoMo), held at the Fira Montjuïc as part of Mobile World Congress. This new event was created to inspire young people to pursue education and careers in science, technology, engineering, art/design, and math (STEAM) subjects. The event featured educational exhibits, live theater shows, interactive workshops and hands-on activities for students, as well as educator-focused workshops, lectures, and resources. The mobile industry’s support for the United Nations Sustainable Development Goals (SDGs) was a major theme at Congress this year. The 17 SDGs set a number of targets, including ending poverty, halting climate change, and fighting injustice and inequality, by 2030. The mobile industry’s role in helping to deliver these goals was showcased both on the conference stage and in the exhibition halls. The GSMA underscored its support for the SDGs by announcing that it has been certified carbon neutral by independent auditors British Standards Institute for all GSMA events and worldwide offices for 2016. This includes Mobile World Congress Barcelona, Mobile World Congress Shanghai and the seven international events of the Mobile 360 series, as well as 12 GSMA office locations around the world. 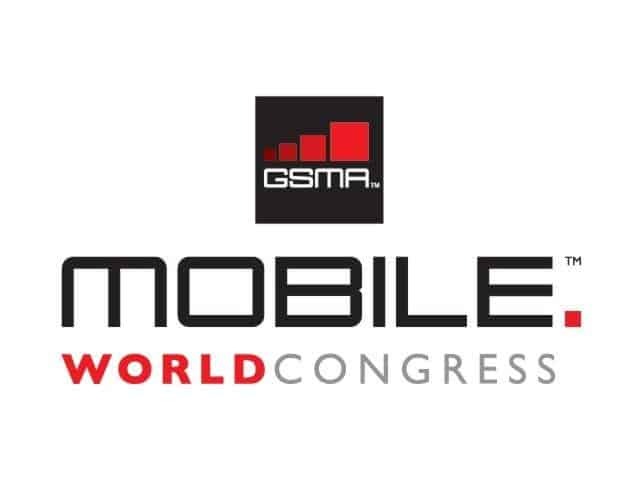 The GSMA is continuing to pursue certification of its offices and events, including Mobile World Congress, for 2017.